The Mercedes-Benz made a C200 coupe in 2001), labelled the C-Class SportCoupé. 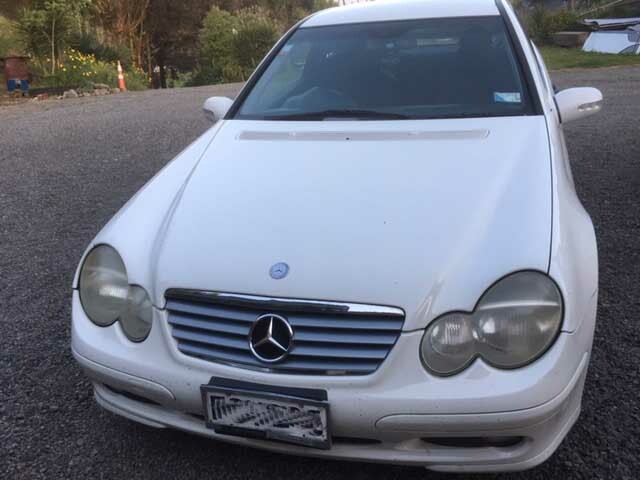 The C200 is the touring compact car thats not going to kill you on the costs for some parts etc due to ebay as parts can be cheap if you don't mind waiting for 2 weeks. You can get a manual online for these models or on trademe in NZ or on ebay. The M111.940 is a 2.0 L (1998 cc) 16-valve engine with bore and stroke of 89.9 x 78.7 mm and compression ratio of 9.6:1. It produces 100 kW (136 hp) of power and 190 Nm of torque. the 93-2000 year was a W202. then came the W203. The engine uses a mechanical injection the Siemens PEC/PMS (Pressure Engine Control) management system, which integrates fuel and spark management. Its a strong motor for a strong gearbox and the auto is 5 speed. It uses 2 ignition coils and no ignition distributor. Cylinders are fired in pairs (dual fire) - 1 and 4 together, and 2 and 3 together. The crankshaft position sensor is sensing the movement of two radially opposed position plates on the flywheel, one of which is magnetized, and the other is not. Similar to the M111.940 engine, the 942 version also came out. It produces 100 kW (134 hp, 136PS) of power and 190 Nm (140 lb·ft) of torque. Acceleration 0 - 100 km/h. 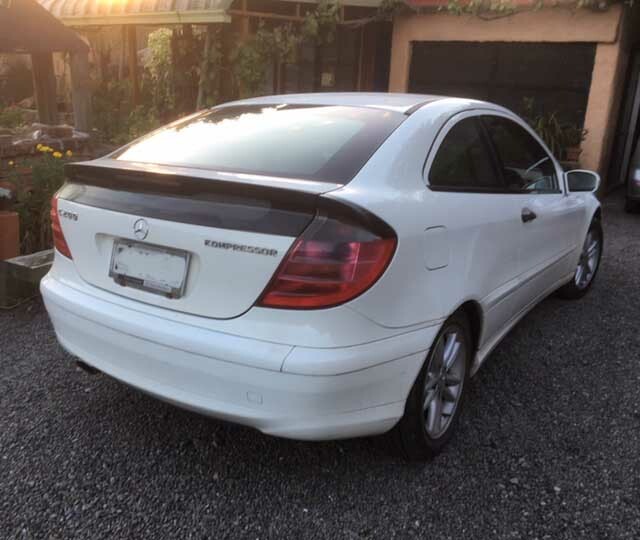 The four cylinder C200 Kompressor,has a very fast engine and can travel to max 230kmh WITHOUT EFFORT, The car's performance and amazing economy is an asset. In the coupe there not much room in the back but the 2 front seats are low but have good levers to adjust. The seat belts you really need to put covers on as for women driver can dig into your shoulder. The lights and wipers are on the same left lever unlike many cars who have the lights separate. The speedo is well presented and you need to reset with the vrious buttons once you change the oil but we have included this in the article below. The Kompressor version as above is supercharged.The C-Class is Benz's best selling model and is available with a range of engines, starting with two 1.8-litre supercharged fours but I have seen where a C180 did 450,000 miles on the clock still with the same clutch. Servicing and a new cam belt all was needed so not bad for a MB Mercedes Benz C Class. The fact a MB is cheap in NZ is because of the parts and intricate workings of the sensors and motors. However they are super strong in the boday with very heavy doors, bonnet and boot so one feels safe in these cars.